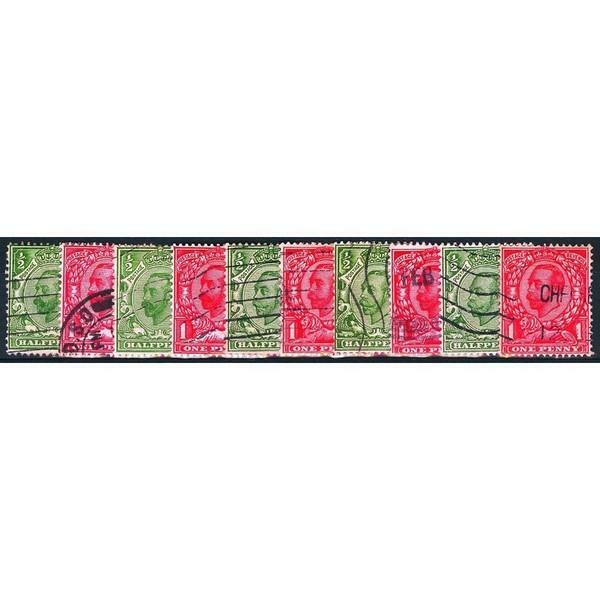 1911-13 George V Downey Head set of 10 values. Good Used. 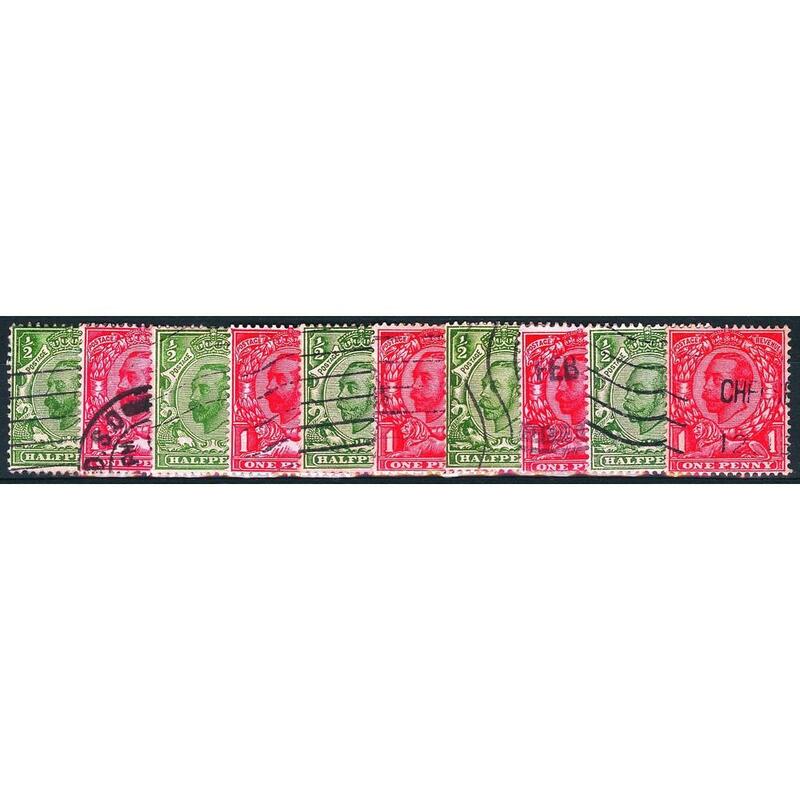 SG 321-350 Cat.100 Scarce Royal Cypher booklet stamps.